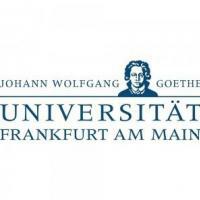 For many years, the Frankfurt Investment Law Workshop – jointly organized by Rainer Hofmann (Frankfurt), Stephan W. Schill (Amsterdam), and Christian J. Tams (Glasgow) – has been a forum for the discussion of foundational issues of international investment law. The 2018 workshop addresses the increasingly relevant relationship between international investment law and constitutional law. While both fields, for a long time, have kept maximum distance to each other, they are beginning to interact as constitutional courts around the world, such as the German Federal Constitutional Court, the French Conseil Constitutionnel, and the Court of Justice of the European Union, are being called to address the constitutional limits of international investment law and investment dispute settlement. Similarly, investment tribunals increasingly face constitutional law arguments, and investment law scholarship promotes the use of constitutional legal analysis to step up to the challenges the field is facing as an instrument of global governance. The 2018 Frankfurt Investment Law Workshop will explore the different facets of the increasing interaction between international investment law and constitutional law and critically analyze the opportunities and challenges this interaction creates. The Workshop will bring together academics and practitioners and provide them with a forum for open and frank exchanges. The program is available here; for edited collections that have grown out of earlier Frankfurt Investment Law Workshops see here, here, here, and here. If you are interested in attending, please contact Sabine Schimpf, Merton Centre for European Integration and International Economic Order, University of Frankfurt, E-Mail: S.Schimpf@jur.uni-frankfurt.de by 23 February 2018.